(10:15 a.m. EDT) -- Add another cruise line to the growing list of cruise companies expanding their portfolio to include expedition cruising. Luxury line Seabourn will add two new ultra-high-end expedition ships to its fleet, with the first scheduled to arrive in June 2021 and the second in May 2022. As with other luxury expedition ships, they will carry submarines onboard. "This is a groundbreaking moment for Seabourn and for luxury travelers, who will now find a new standard of authentic yet luxurious expedition adventures in new and amazing destinations few people will ever see," said Richard Meadows, president of Seabourn. "The combination of immersive experience, fine accommodations, and sumptuous amenities offered by these new ships builds on the success of our current product lineup and further demonstrates our leadership as innovators." The 23,000-gross-ton ships will carry up to 264 passengers in 132 balcony suites, and will carry two submarines, 24 Zodiac boats and a fleet of kayaks. Seabourn has been offering kayak and Zodiac touring as part of its Ventures by Seabourn program in select destinations since 2015. "It's been amazing to watch the growth of our expedition-style experience since our first sailing to Antarctica in 2013 through today, where we now offer the Ventures by Seabourn program in a number of desirable destinations around the world," said Robin West, vice president of Expedition Operations and Planning for Seabourn. The line began developing this newest piece of its expedition offering last year. As part of their design, the new ships will meet PC6 Polar Class standards so they can sail to Antarctica and the Arctic. The first ship is currently planned to sail in the Arctic in late summer 2021, with a full winter season in Antarctica to follow. Onboard crew will include an expedition team composed of wilderness experts, scientists, historians and Zodiac operators. Further details about the ship's design and amenities will be released later this year, and specific itineraries and booking details will be released in early 2019. 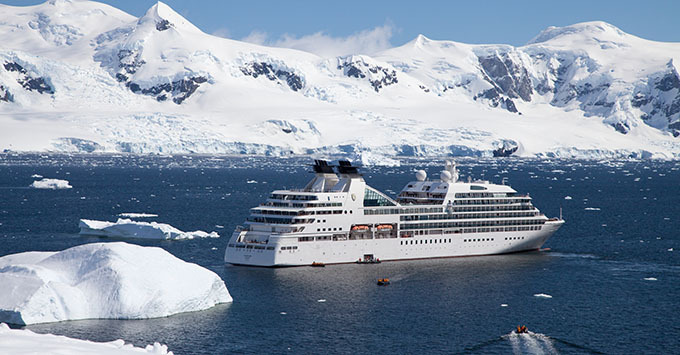 Seabourn is the latest in a string of cruise lines to announce they are building new ships specifically for the expedition market including Scenic, Crystal and Celebrity Cruises. Seabourn's expedition ships will be built by Mariotti Damen Cruise, a new partnership between Italian shipbuilders T.Mariotti and Damen Shipyards Group, with whom Seabourn has signed a Letter of Intent.